This 33,000SF design build project was completed in 11 months and came in 8% under the estimated electrical budget. The success of this project was made possible by working closely with the engineer and mechanical subcontractor throughout the project. 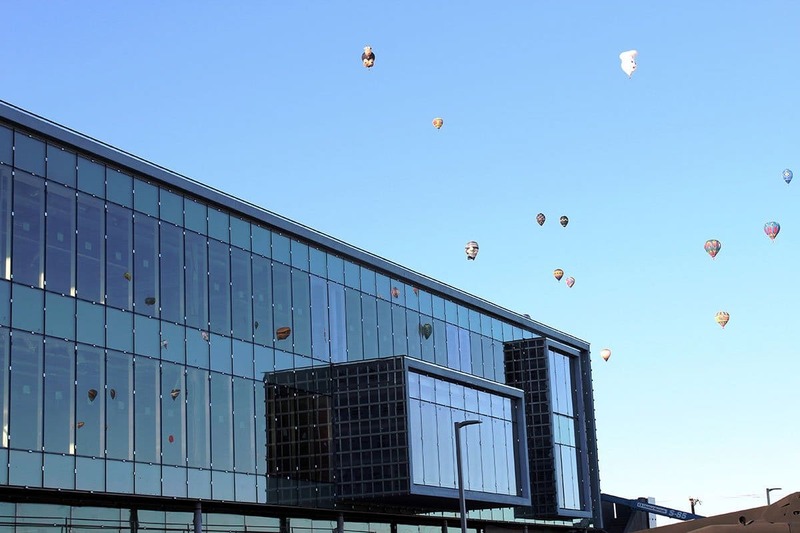 The new building features offices, meeting space, cafeteria and work out facilities for the employees. This project included a 3-story addition to new Presbyterian Headquarters. 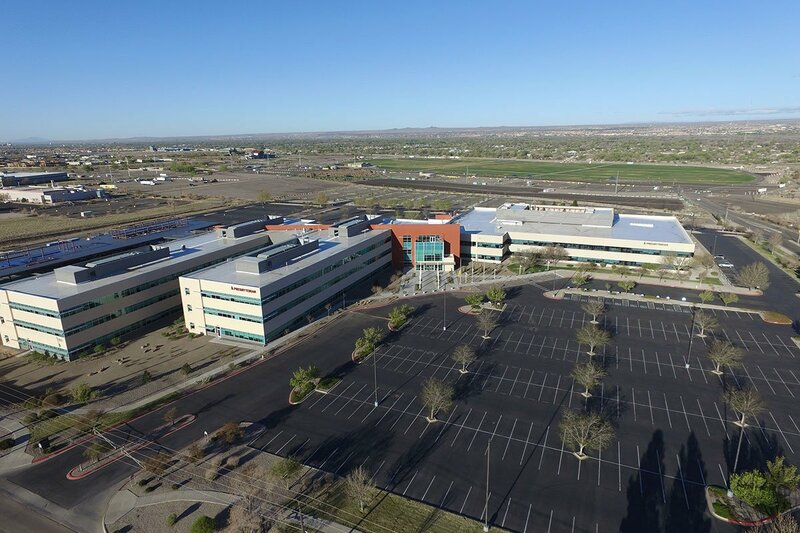 With 365 days to complete, DKD’s project team successfully installed a complete electrical package along with seamlessly merging the addition and parking lot lighting into the pre-existing system. 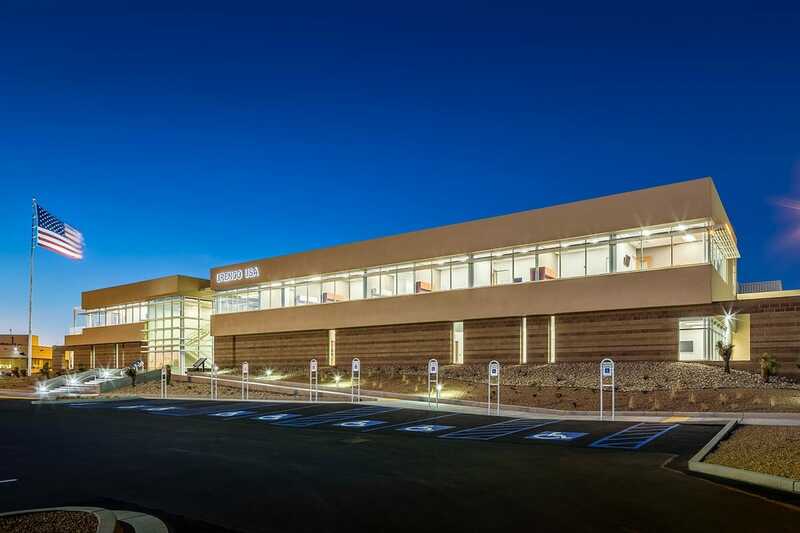 DKD was the electrical subcontractor for New Mexico Mutual’s new headquarters. The three-story building has a state-of-the-art lighting package that is both aesthetically pleasing and energy efficient. Some of the sustainable features include LED fixtures throughout and a daylight harvesting system that reduces overhead lighting when natural daylight is detected. This project required extreme precision; our team had to coordinate installations with the mill-work contractors to achieve seamless transitions between fixtures and design elements.